Oh, Comic Sans, the font we all love to hate. When used for its intended purpose – comics – it’s actually not all that bad. 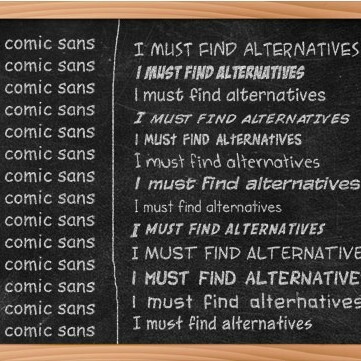 However, there are plenty of comic fonts available that are much more stylish and less taboo than Comic Sans. Whether you are designing a web page, ad materials, a web comic, or an actual comic book, and want your font to have a Comic Sans vibe, don’t give in!